We often transfer our pictures to our computer, SD card, camera, flash drive or any other devices that can store large files. Thus, even if we delete the files from those devices, we still have backups. However, what if we accidentally delete our photos and forget that those are the only copies left? And they were essential files for your group project, demo presentation, or magazines? Don’t worry, because we can still find a way to restore lost photos with the applications listed below. 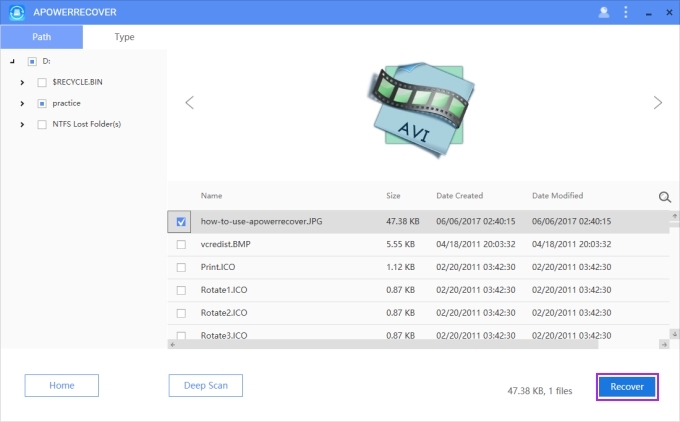 Whether photos have been deleted from your computer, SD card, or digital camera, there is a right tool for each of this situation which we can rely on. So, what are we waiting for? Scroll down and let’s find the way out of this dilemma. If you’re trying to restore pictures stored on your computer, then ApowerRecover is the perfect tool for you. It is a desktop application that is designed to retrieve lost data such as pictures, videos, audio, documents, and many more. It has a smart interface which guides you through a step-by-step process to find and retrieve your deleted files. You can easily stop the activities within the app. It categorizes the data once the process finishes, and it provides a preview of the deleted images before you restore them. 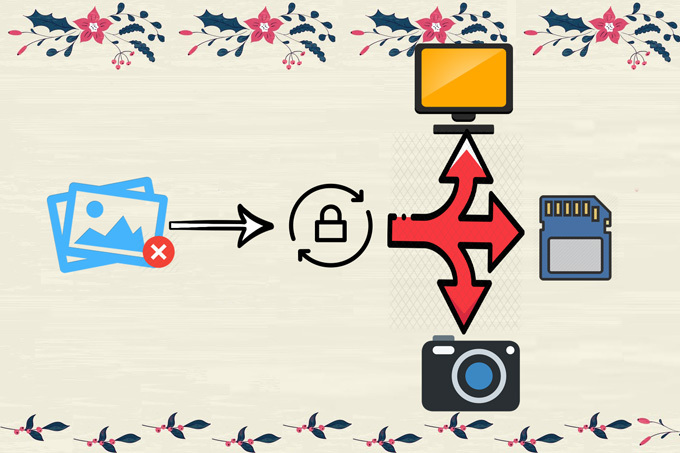 To retrieve pictures, here are the steps you need to do. On the main interface, click on “Photos” and then hit on “Next”. Once done, the software will show the preview images of the deleted items. Just select the files you want to retrieve and click on “Recover”. Aside from computers, this program can also be used for external drives, flash drives, or memory cards. In case you would like to get photos back from a SD card, you can use iCare Data Recovery. This application can salvage files from emptied recycle bin, SD card, memory card, etc. What’s more, it supports SD card for Android, digital camera and more. In order to use iCare Data Recovery, download it onto your computer and follow the instructions listed below. Connect your SD card to your computer and open the program. Go to “Advanced File Recovery” and select your SD card. Click on “Next” and wait for scanning. When it finishes, you need to click “Next” again. You will see all the files listed out. Here you can set the list into thumbnail mode, so that you can preview more than one image a time. You can also search for the picture you want and see the details of it. 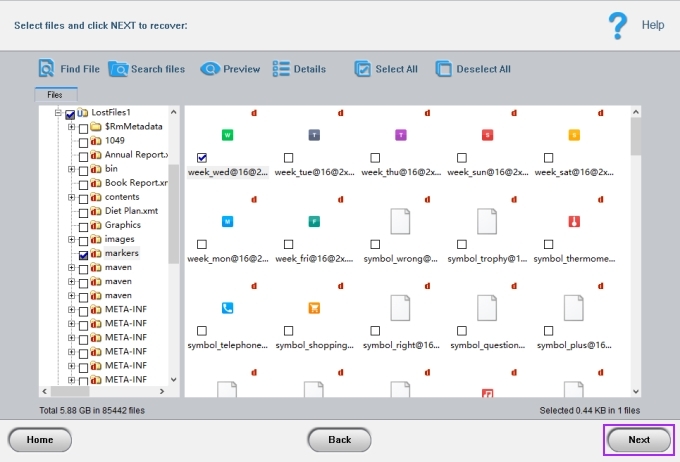 Select the images > click on “Next” > choose your desired path to store the recovered items > click on “Next”. You can retrieve pictures through this way now. The programs scans all the files in the chosen location, however, the results are not separated based on deleted or undeleted photos. Several special occasions can come up when we may take our digital camera and shoot lots of pictures, such as travelling, participating in an anniversary or joining an event. However, it is easy to lose images when using the camera. 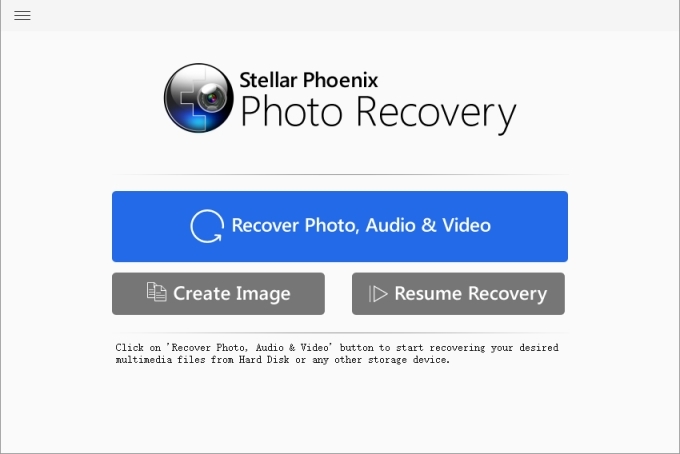 Here we recommend you another program to recover photos from digital camera – Stellar Phoenix Photo Recovery. Although this program is called photo recovery, it can also restore audio and video files. It is compatible with digital camera, USB sticks, and other devices. It is a very straightforward app so you won’t find any difficulty in its operation. Follow the steps below and to learn how to recover deleted images with Stellar Phoenix Photo Recovery. Get the program on the computer and connect the digital camera to it. Click on the “Recover Photo, Audio & Video” button. On the main interface, you need to choose the location and file type. Afterwards, click on “Scan Now”. The software will then start scanning thoroughly. And after that, the scanning result will be displayed. At this point, all the files will be separated into different folders. The program has three dividing methods for file separation – Classic List, File List and Deleted List. Classic List shows all the files in the detected place, File List categorizes data according to its type, while Deleted List shows you the lost items. Choose “Deleted List” and click on the folders. You can preview the images and learn some detailed information of about them. Select and retrieve pictures which you were looking for. Although there are many programs that can restore images, these three applications are the most reliable among them. With their very easy-to-use interface, you will be able to recover deleted photos within just a few clicks. Aside from images, they can also retrieve other files from your devices. Thus, you can use these three apps when you want to retrieve important documents anywhere.